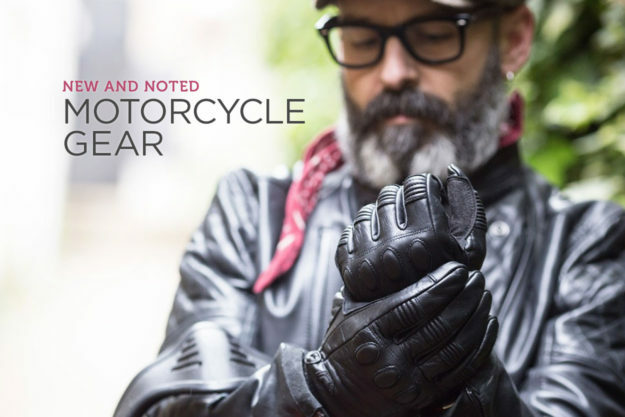 Brand extensions gone crazy, an heirloom jacket from Dainese, a limited edition lid from Hedon, and beautiful new summer leather gloves from Knox. There goes the monthly budget. Montblanc Urban Spirit helmet If you like fancy fountain pens, you’ll know the story of Montblanc and its famous Meisterstück, released in 1924. In recent years company has expanded its offerings to include watches and expensive leather goods. 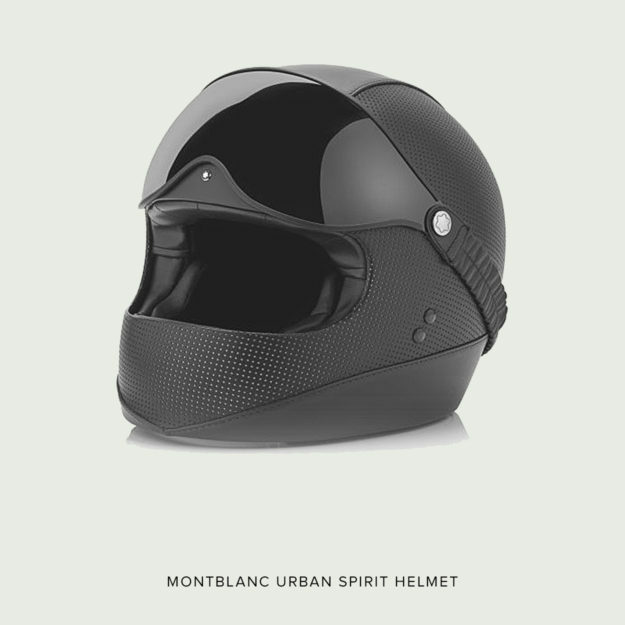 And a few days ago, in one of the most bizarre brand extensions we’ve ever seen, Montblanc teased us with a new motorcycle helmet. 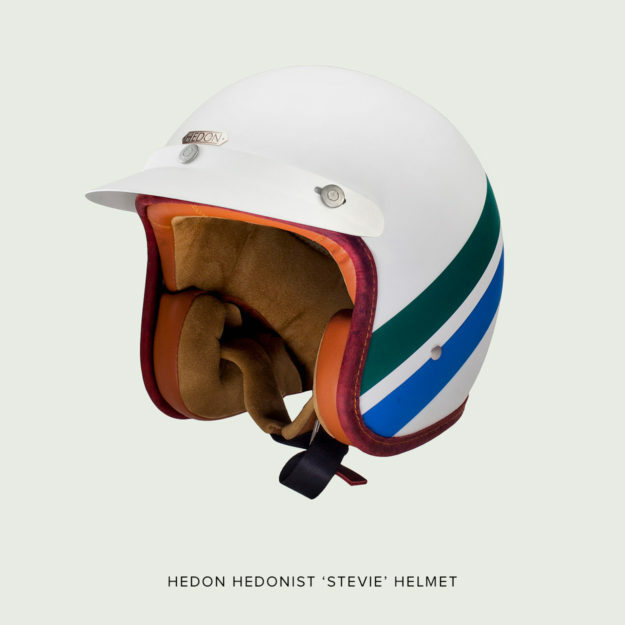 Hedon Hedonist ‘Stevie’ helmet Hedon doesn’t yet have the history of Montblanc, but it’s quickly carved a niche with its elegant helmets. They’re all trimmed and lined in genuine calf leather, with a distinctive logo plaque in copper and brass. The company occasionally releases limited editions, and the ‘Stevie’ is the latest. 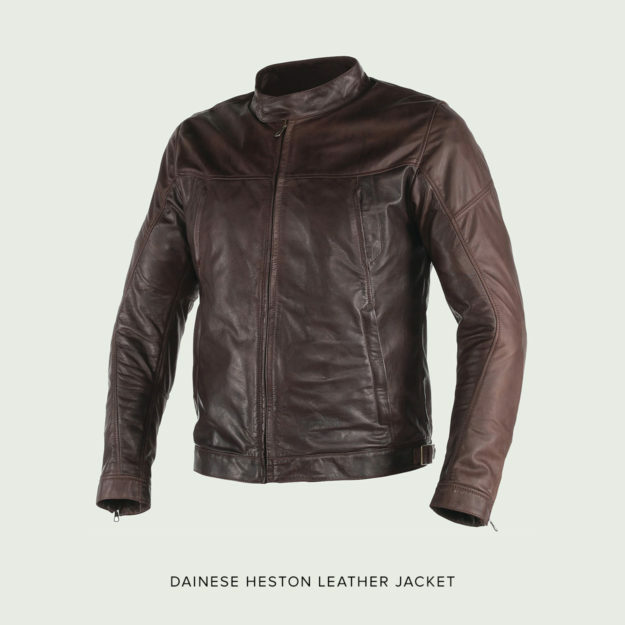 Dainese Heston jacket Dainese has been quietly developing its 36060 collection of vintage-inspired pieces, and the latest is this low-key but beautifully styled leather jacket. It’s notable for its simple lines, with no unnecessary zippers or outside pockets to mess up the contours. 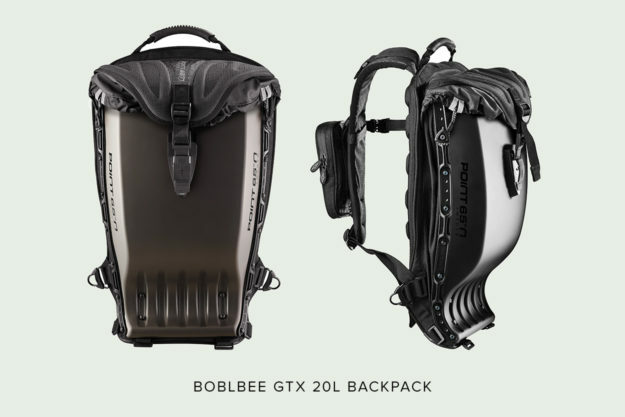 Boblbee GTX 20L backpack Boblbee luggage has a cult following. It doesn’t just make it easy to carry your stuff around, it’s also highly protective. The new GTX series hardshell qualifies as a CE Level 2 Back Protector, with an industry-best rating of 94% impact reduction. 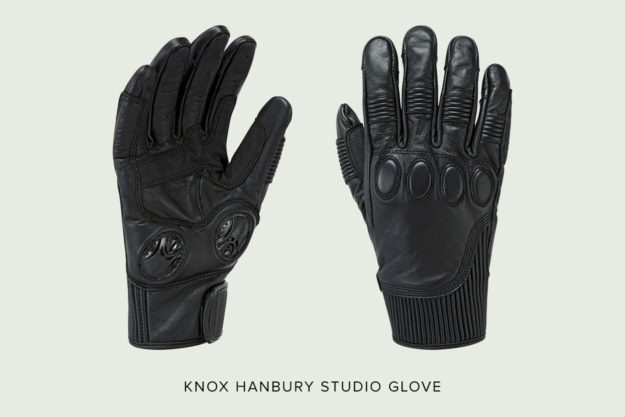 Knox Hanbury gloves The English company Knox has always had a peerless reputation for its high-end armor. But its new Studio apparel collection proves that it can do style as well as protection.